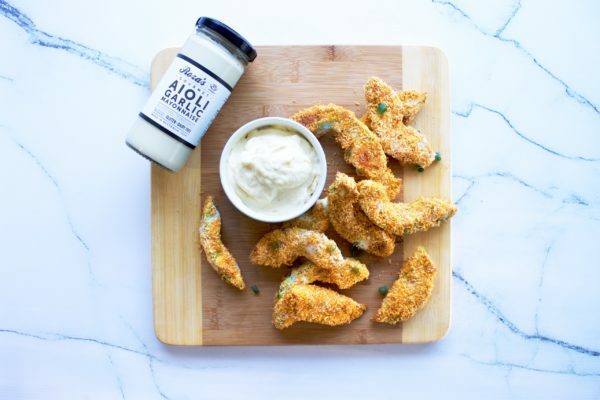 Healthy baked fries made from nutritious avocado served with a creamy garlic aioli. This recipe is gluten free and dairy free. Slice avocados into thick slices. In a small bowl combine coconut, paprika, onion powder and salt. Arrange three bowls; one with coconut flour, one with eggs and another with the coconut mixture. 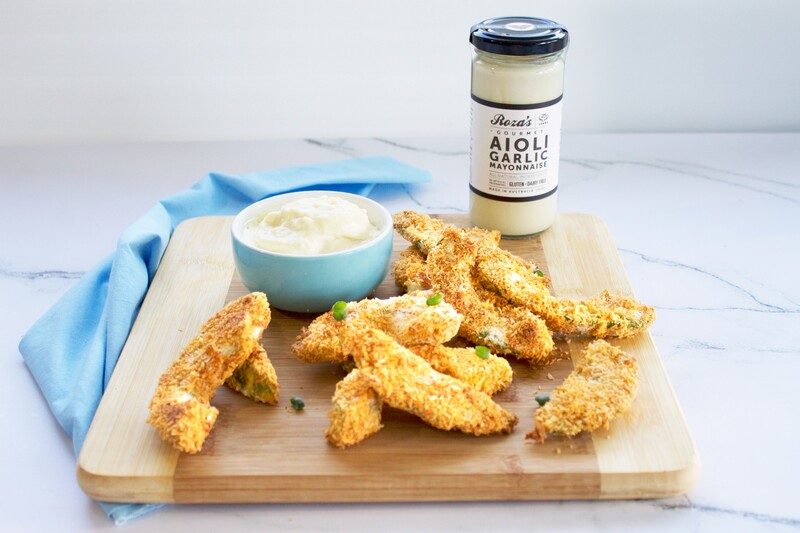 Coat each avoacdo slice into coconut flour, followed by eggs and then coat well in coconut coating. Repeat until all avocado slices are coated. Arrange on a lined baking tray. Bake in oven for 15 -20 mins or until the coating is golden and crispy (check after 10 minutes). 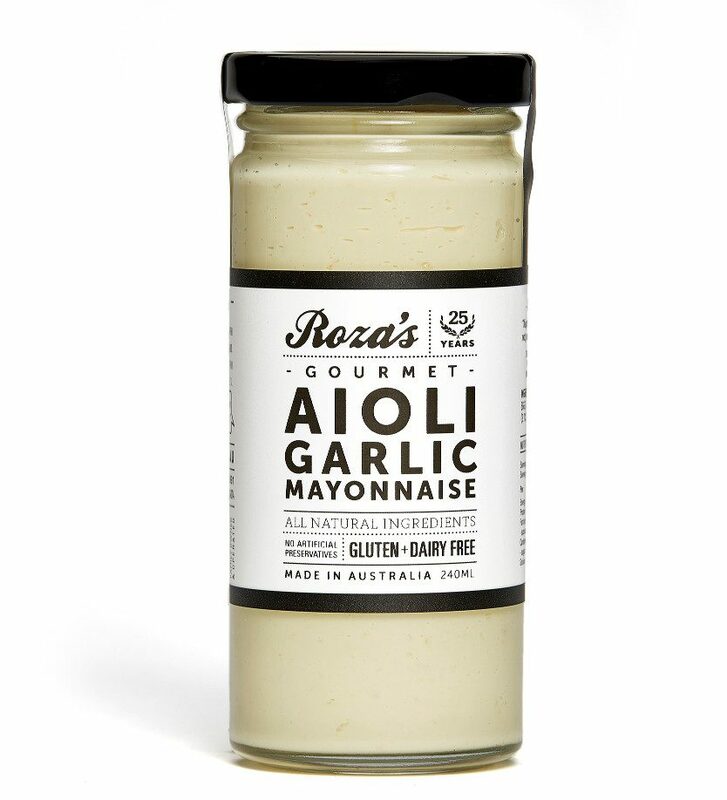 Serve with a generous serving of Roza’s Gourmet Aioli Garlic Mayonnaise for dipping.